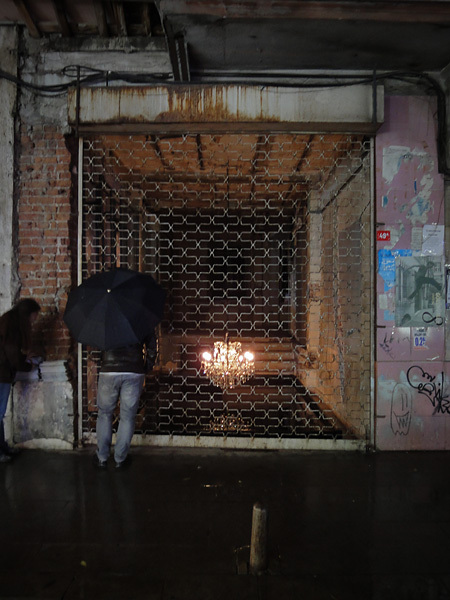 The installation was established as a part of Visibility Project 8. and also thanks to the invitation from Galata Perform. 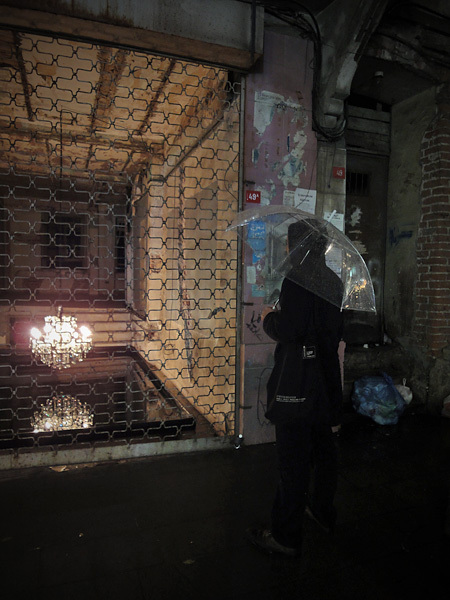 There was one condition: the realisation had to be located in one specific part of Istanbul – the Galata district. 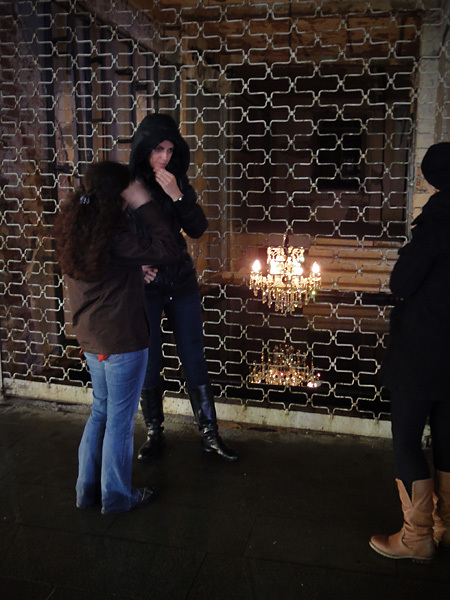 It is a place rooted strongly in history and one of the more attractive touristic destinations.The location of realisation was chosen jointly with the organisers: badly damaged and closed down apartment house near Galata Tower, adjacent to Istanbul’s biggest synagogue, Neve Shalom. The unique atmosphere of the street where this house is located comes from workshops and parlours where lamps are being produced and sold. The illumination of this place looks simply spectacular. The title „Stuck Between” refers to Istanbul and Turkey, a hostage-mediator of various (often contradictory) interests, a situation that is caused by its geopolitical location. Istanbul alone has so much cultural, social, religious and political contrasts, that this strange mixture is his natural feature. 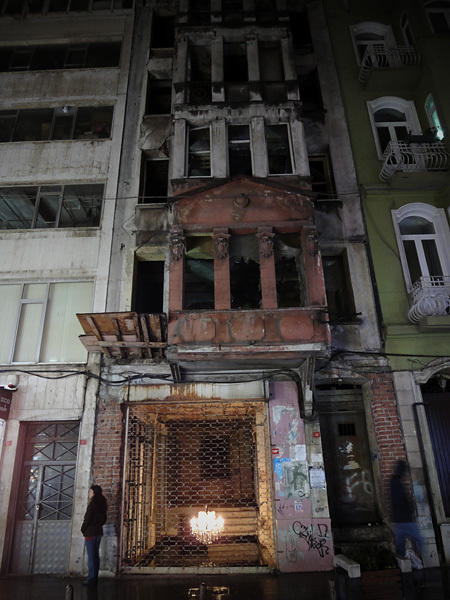 Many centuries of history condemned this city to be stuck between very different dimensions of contemporaneity.During assembly we found out that this building where the installation was located is a last apartment house that was not rebuilt after bloody terrorist attack. In the year 2003 a bomb placed in the car exploded in front of the synagogue, killing tens and wounding hundreds of people. 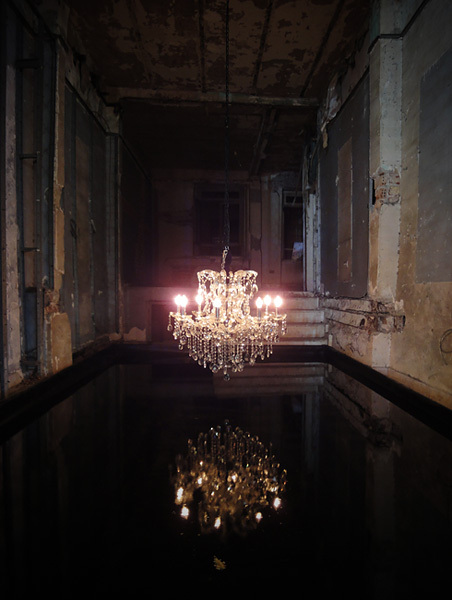 This fact gave this realiastion an additional, dark and still valid context to the people who lived and worked there – they could not see this realisation in any other way.The installation consisted of crystal Chandelier, hanging low over the water table. 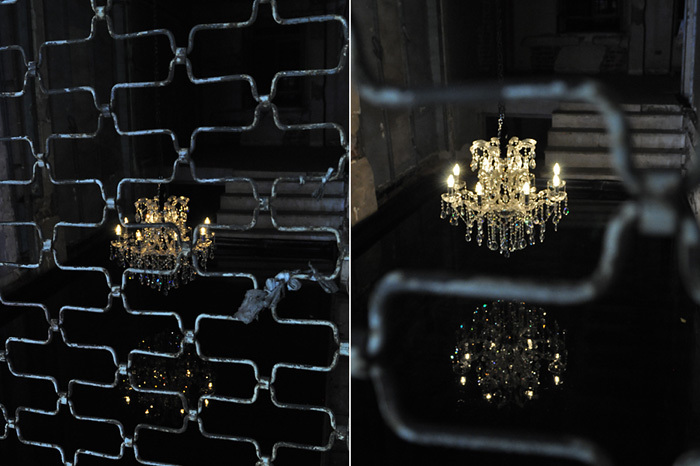 The lamp was put inside a large room, separated from the street with lowered grating. This space – now completely desolate, just like the whole builiding - probably used to be a store or a service workshop. 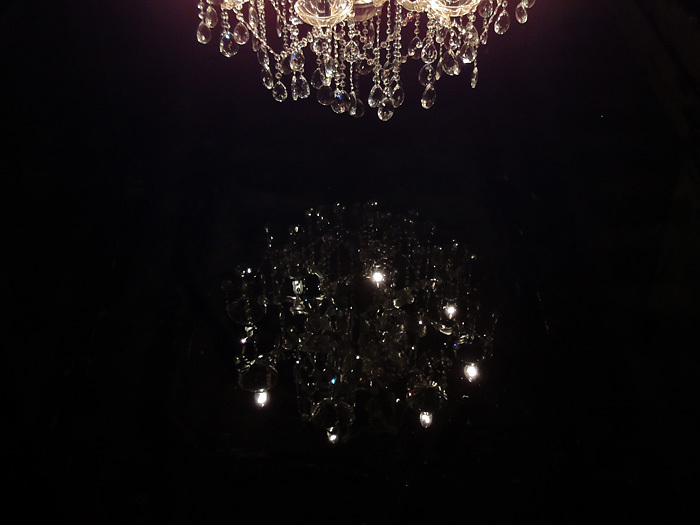 The light coming from the Chandelier pulsed to the beat of a human heart, alternately illuminating and plunging in the darkness the desolated room. Mirrored water surface doubled the whole space, blurring the lines between reality and its reflection.